Volunteering at Phinda Wildlife Research Project gave me the thrill of adventure, expanded my knowledge of wildlife and its ties to the surrounding community, but most importantly, allowed me to work alongside others who strive to conserve and protect endangered species. The project taught me the necessary theory behind research techniques, but also how to undertake these monitoring practices in the bush. 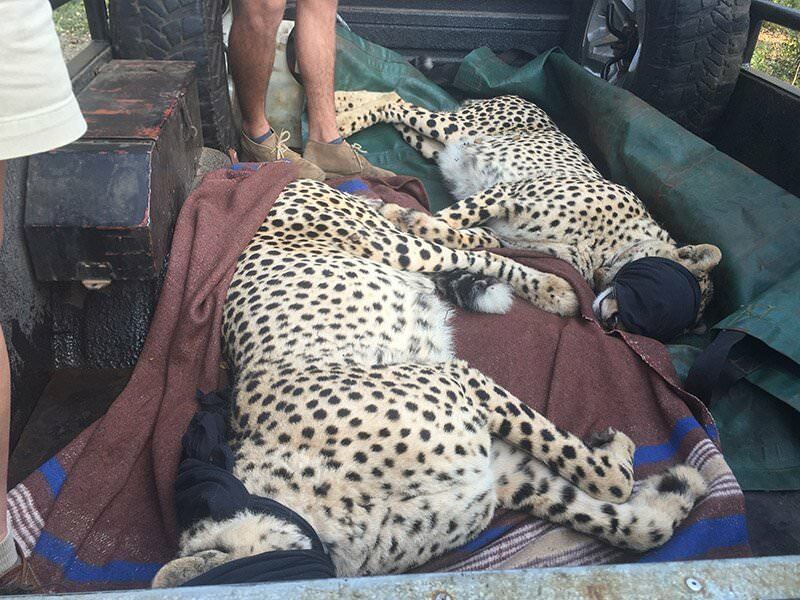 This balance allowed me to immerse myself in wildlife conservation; from dehorning and notching white and black rhino, from using telemetry to monitor the collared cheetahs, lions and elephants, from assisting in behavioural studies and the release of cheetahs and lions into boma enclosures, to updating ID kits and camera traps. Every day was different, every plan liable to change, every wildlife encounter memorable, each sunrise and sunset unique. The project allowed me to live in the moment, to become actively involved in the reserves work, rather than hide behind a camera lens. Nearly every morning we would get up at around 5:30am, gulp down a quick cup of coffee, and be out of the door by 6. 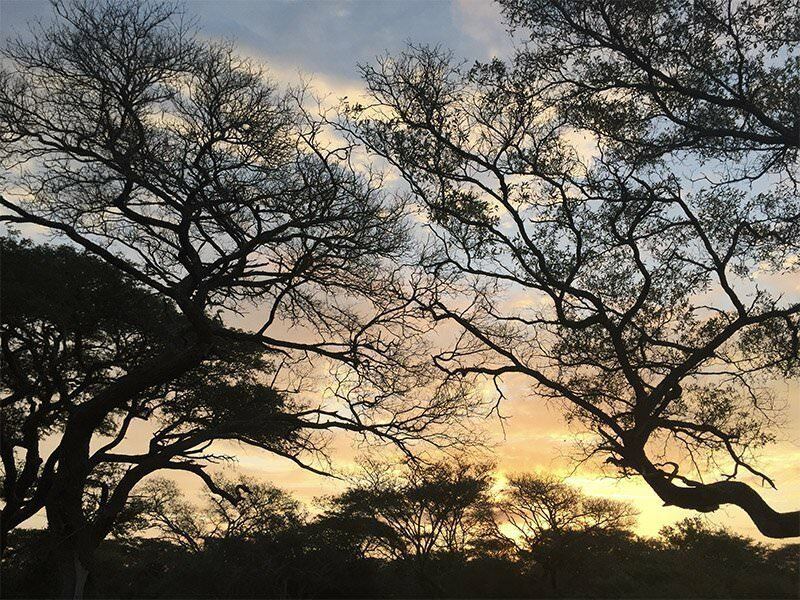 We would drive through the morning mist, watch it diffuse into shimmering light as the sun rose, in search of an elephant herd, a lion pride or to check on the animals in the boma enclosures. Yes, it was freezing in the mornings, with the wind whipping dust into your eyes, but to witness the early morning interactions of the predators after a night’s hunting, made it completely worth it. And as the sun rose, all the layers would be taken off as the relentless heat began to kick in. A morning drive could last for a few hours, or all day, especially if we got distracted and ended up watching 6-month cheetah cubs playing in the dawn light. The afternoon was usually spent back at the house, cooking lunch, getting to know the other volunteers, soaking up the sun, and sometimes taking a well-deserved nap. At around 3pm we would set out again, tracking a herd of elephants, searching for young cheetah cubs, visiting the hyena den that was just beginning to become active. I learnt how to track the monitored wildlife; to tell the difference between a black and white rhino print, to gage how long ago the animal had walked in this area, which dung heap belonged to which animal! Once we had tracked down the animal we had been searching for, or stumbled unknowingly upon, we would help log the information. 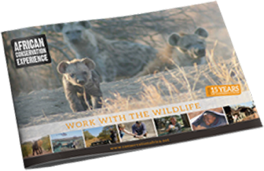 I quickly learnt how to use the notching system for the rhino population, how to look at spot patterns on the cheetahs, to distinguish the separate elephant herds. I also quickly developed special favourites, Dentyne’s tusk-less smile, playful and boisterous attitude of Cheeky (a bull elephant), the gigantic lioness that used to stalk along the main road, the intense inquisitiveness of a hyena pup. We would return to the house as the sun was setting, watching the colours blend and blur together, moving from a soft pink and lilac, to a burning gold, that glowed more brightly against the dark silhouette of the sand forest. Back at the house we would cook dinner, which was sometimes just pasta and sometimes bush meat, really whatever we fancied. 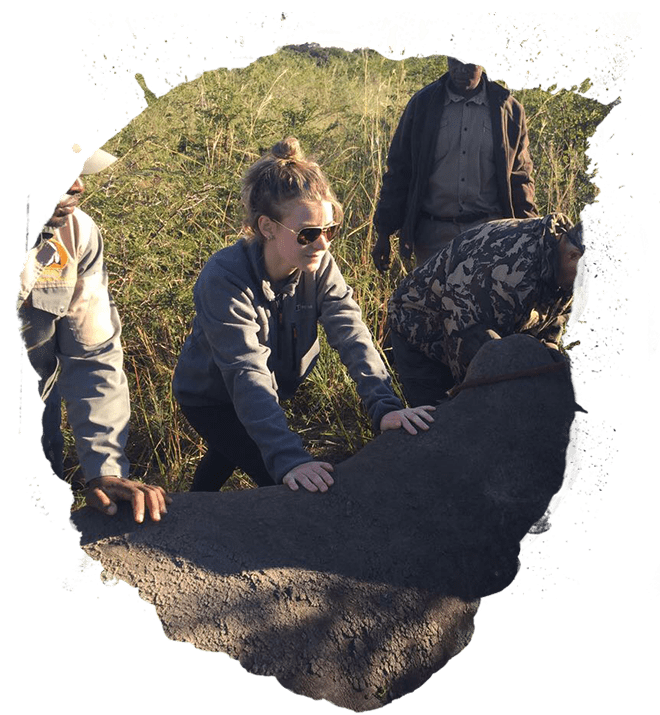 One of the best things about the Phinda project is that there are usually three to four volunteers at a time, allowing you to become fully immersed in every task, but it also means that you quickly become close with your fellow volunteers. I volunteered with a girl who lived an hour away from me, and a couple who lived in Texas, people who I never would have met, but people who are now my friends. Although living and working alongside others 24/7 can sometimes be difficult, meeting new people who share your love for wildlife is a central, and one of the best, parts of the trip. Sometimes are days didn’t follow the usual pattern. One evening we helped release two male lions, who had come from a neighbouring reserve, into the boma. 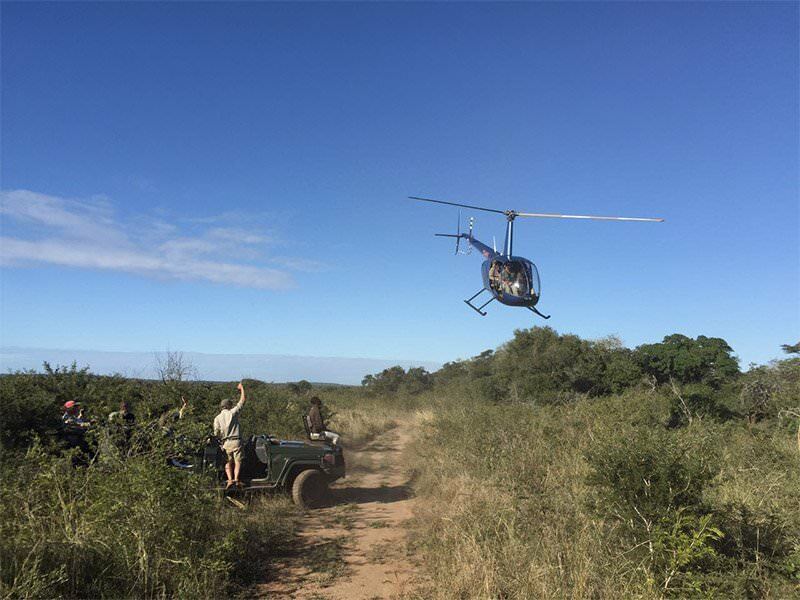 We helped move two male cheetahs from the boma into the reserve, alongside a film crew who were documenting the event. 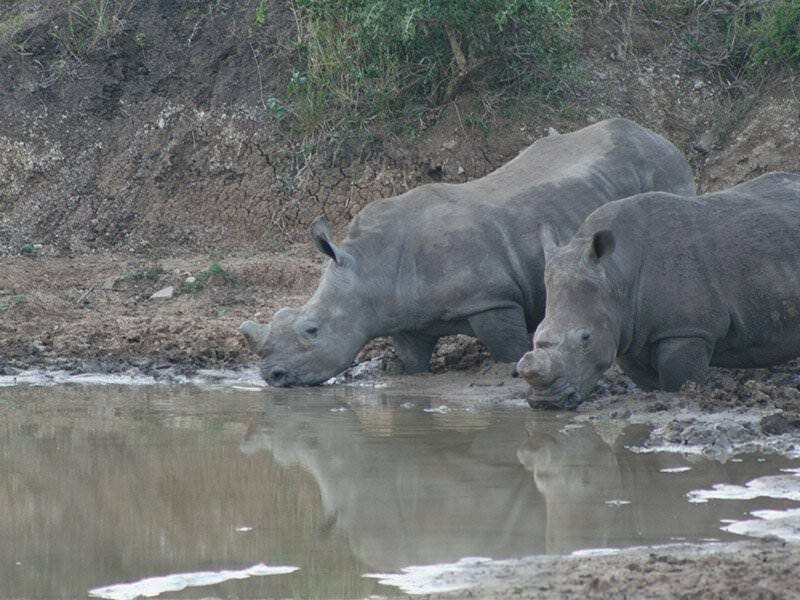 I was even lucky enough to assist in the dehorning of 3 rhinos’ during my trip, an experience I will never forget. 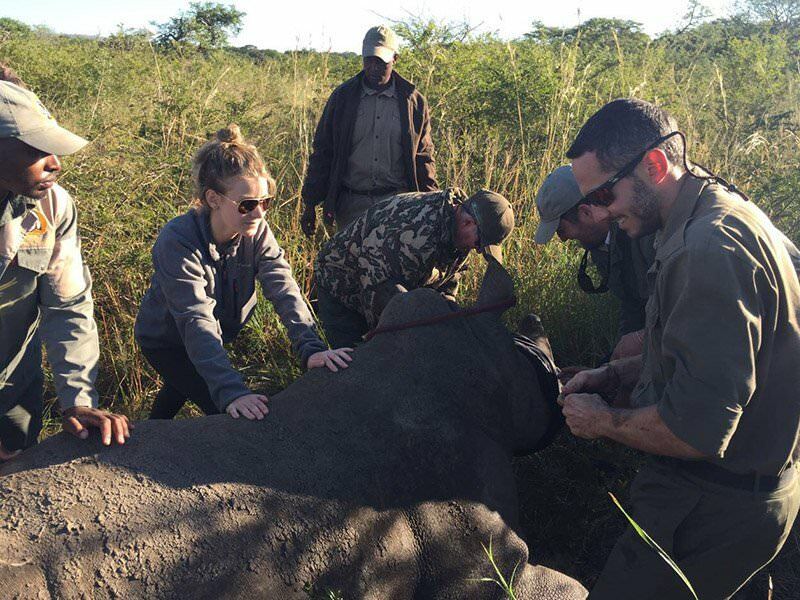 Working with the research team and the vet, we safely darted each rhino, waited for the sedative to kick in, then quickly moved forward, blindfolding the animal and protecting its ears to minimise stress. 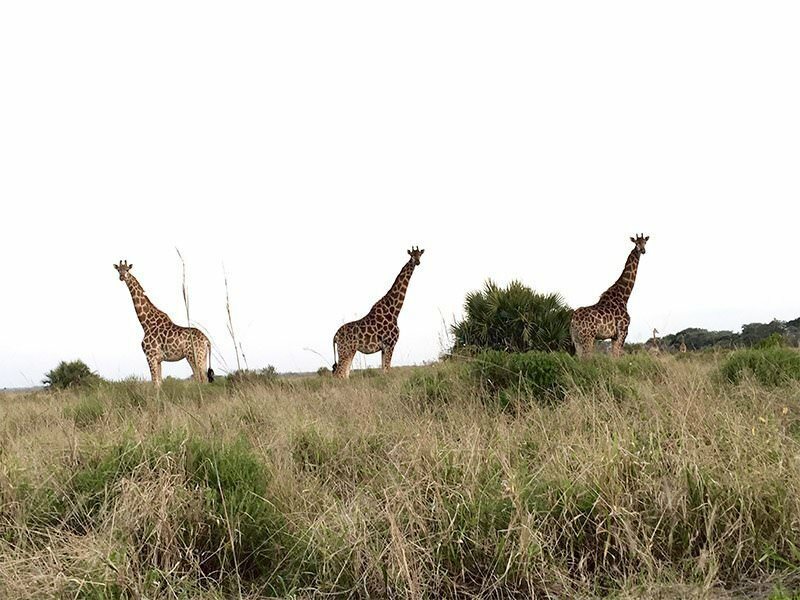 To be up-close with these inquisitive and playful creatures, and being part of a conservation practice that increases the safety of these animals, was a highlight of my trip. And going in the vet’s helicopter afterwards, watching the ground rush beneath me and see the reserve spread out before me, was incredible. I cannot put into words everything that I saw or did, for the trip seemed to pass in a blur of unforgettable experiences, each day better than the day before. The wildlife, the people, the place became home, and the hardest part of the trip was leaving. The early mornings, the missed sightings, the dangerous encounters, the simple living, getting tick-bite fever, the friendships formed, the laughter and the learning is what made this experience for me. I wouldn’t change anything, and I will be coming back.